I'm always inspired by fresh and beautiful blooms. Although, I've noticed my fondness is growing as I get older. Fresh flowers instantly boost my spirt and bring life to any room. Growing up I remember watching my mom arrange the most breathtaking floral arrangements. It's something I plan to learn from her (since mine always pale in comparison). So beautiful, thanks for sharing! I've actually been looking for some guidance on how to build great arrangements! I think that is we get older we appreciate beautiful and simple things more. The arrangement is beautiful and refreshing. Those flowers are gorgeous! Your blog always provides beautiful inspiration! Isn't that blog so amazing! I love this tutorial and any flower bunch tied with kraft paper is an instant favorite of mine. Thanks for sharing. Loving all of the beautiful flowers incorporated into the bouquet! So lovely. such gorgeous flowers... 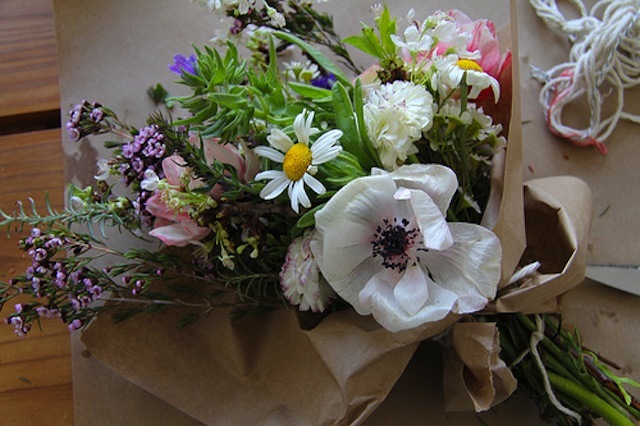 I want to go to the farmers market now to pick a fresh bouquet up! I'm a wedding florist, so of course... I'm in LOVE with this blossoms. Gorgeous! Wow, I need to go get flower... right now! Just stumbled upon your blog - I'm in love. Will be puting you on my side bar. Will be checking back often. Thanks for your lovely blog. I so wish I had a eye for floral arranging! 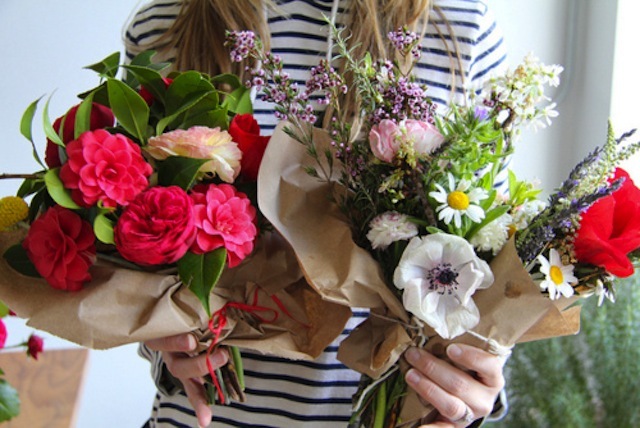 Gorgeous, there is nothing better than fresh flowers every week! amazing pictures ! they lift up the mood ! Thanks for sharing ! i desperately wish i was better at flower arranging..they're definitely a pick me up! pretty and useful! I love LA in Bloom, she has such an eclectic fabulous style, really love her! Beautiful arrangements! 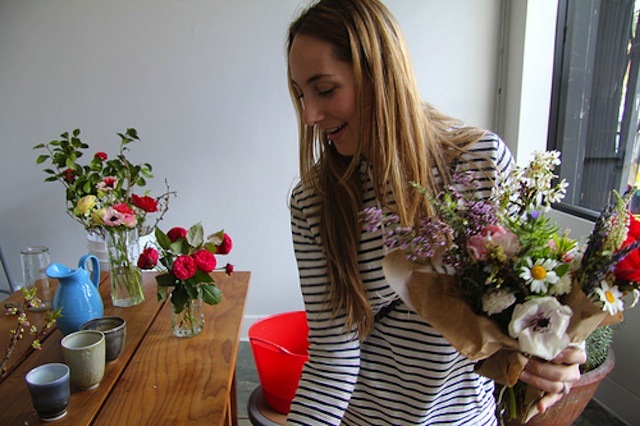 I agree, fresh flowers are an instant mood up-lifter! What a BEAUTIFUL arrangement! And such a good tutorial. Same here! I've developed an appreciation for fresh blooms as I've gotten older, as well:) Yes, they're definitely uplifting! Thank you for sharing this video! Have a great weekend! As I've gotten older I've noticed the same, I really have an appreciation for fresh flowers and it truly just makes me smile having them I'm my house :) this tutorial is awesome! Thanks for sharing this! Those flowers and arrangements were so beautiful and re-affirmed my desire to become more educated about flowers/floral arrangements. I wish I could have a garden like that in NYC. Thank you so much for posting my video! I'm glad to you enjoyed it and flattered to be one of your new favorite blogs. The flowers are so cute!Love it!Thanks for sharing the video!